Britain, especially London, is regarded as one of the world’s fashion capitals. Paul Smith, John Galliano, Stella McCartney and Vivien Westwood are a just a few of the best British fashion designers. British fashion constantly reinvents itself and each era has brought its own defining fashion statement. Britain has always been a major contender on the world’s catwalks. From Mary Quant in the swinging sixties exported mini skirts around the world to Vivienne Westwood and the punk movement; British designers have constantly been at the forefront. British fashion designers can easily contend with big international names such as Armani, Gucci and Ralph Lauren. 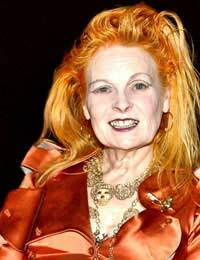 Vivienne Westwood has become an icon in British fashion design. Westwood, along with Malcolm McLaren, invented the punk look in the 1980s and has been named one of the six most influential designers of all time. The OBE winner has won a host of awards including twice being named British Fashion Designer of the year. Westwood has had her own travelling exhibition as part of the Victoria and Albert Museum, which toured the world for seven years. She is still a major force in the fashion world and her ready to wear women’s collection shows in Paris while her menswear collection is shown in Milan. Christopher Bailey’s track record in the fashion world is impressive. A Master’s Degree from the Royal College of Art led him to New York working for Donna Karan and he then worked for Gucci in Milan as the senior womenswear designer. Bailey now works as the creative director for Burberry; one of Britain’s most famous fashion brands. His Prorsum line of clothes for men and women barely has a hint of the famous Burberry check but has still been a hit with buyers. Bailey was honoured with an Honorary Fellowship from the Royal College of Art for his success in the fashion world. Paul Smith opened his first fashion store in 1970 in his home town of Nottingham. Six years later Smith was showing his menswear collection on the Paris catwalks. Smith actually studied fashion at night classes and his collection now sells to a staggering 35 countries around the world. In 2001 Paul Smith received a knighthood for his contribution to fashion although he claims he simply designs the type of clothes that he himself loves to wear. Stella McCartney has had a meteoric rise to fame in the fashion world since graduating from Central Saint Martins in 1995. Daughter of the famous Paul McCartney, there have been some who have claimed her success is down to family connections. But Stella McCartney has proved herself within the fashion world while working as the creative director at Chloe and launching her own clothing line. McCartney’s first clothes store opened in New York in 2003, quickly followed by stores in Los Angeles and London. McCartney has also won London’s Designer of the Year Award. John Richmond straddles the worlds of ready to wear collections and the more outrageous collections favoured by rock and pop stars. His clothes are favourites of some of the most iconic names in music such as Madonna, Mick Jagger and David Bowie. John Richmond is a world recognised name in fashion with three diverse clothing lines including Richmond Denim and Richmond X. Naples, Rome, Paris, New York and Munich all boast John Richmond showrooms. In Britain, Richmond’s ready to wear collections can be found in every high street that holds a Debenham’s store. John Galliano embodies the working class boy who made good spirit. Galliano moved from Gibraltar to London in 1966 at the age of six and graduated from St Martin’s College in 1984. By 1990 Galliano was showing his first collections in Paris after his French Revolution styled graduation collection was bought by Browns. Galliano has since won British Designer of the Year four times and now works as creative designer for Christian Dior. Galliano moved to Paris in 1992 and is treated as fashion royalty wherever he appears.